PLEASE NOTE: This is a soft launch. Our normal activity will be on pause while we finish the new site. We will officially kick things off again in August. Our new site has more color—Premiere Pro colors, of course. The new look is actually a throwback to our first site, which was entirely purple and pink! The updated layout is cleaner, more compact and content-friendly. We also improved the mobile version of our site. Let us know what you think! News - A new page featuring daily Premiere Pro content—news, tips, tutorials, funnies—anything fresh and relevant to Premiere Pro users. Videos in our News feed will play directly in the page. Please note the News feed will reset every Monday, EST. Check in daily and don't miss out on the latest Premiere Pro headlines! Blog - Check out our latest original posts on the Premiere Bro Blog or visit Premiere in Post for our best-of-the-best curated content. Don't forget Week in Premiere, every Friday, recapping each week's Premiere Pro highlights. Rush - Our newest blog featuring original and curated content for Project Rush. We'll be writing and collecting Project Rush content just like we do for Premiere Pro. It's like the 'lil' Premiere Bro'. Not to mention, it's the world's first user blog and fansite for Project Rush. Tutorials - We've been cataloging Premiere Pro content from YouTube and the internet since 2014. We keep tutorials organized by topic and easy to search. Check out our tutorial categories and learn something new about Premiere Pro! Submit - Share your Premiere Pro content on Premiere Bro! We've updated our Submit page to make it easier for users to get featured on our News page. Have a general question? You can use the updated Submit page for that too. For those who don't know, our Premiere in Post blog curates the most relevant Premiere Pro news, tips, and tutorials every single weekday. Up to this point, we've rigorously scanned the interwebs searching for anything and everything related to Premiere Pro. Our goal was to present a daily snapshot of all the goings-on in the Premiere Pro user community. In order to deal with the skyrocketing popularity of Premiere Pro and all the content that's coming out, we have to be more selective about what we curate. From now on, every weekday we will only feature one or two pieces of content on Premiere in Post. These posts will be based on recently curated content, but heavily supplemented with our commentary, providing even more value to readers. In other words, Premiere in Post will be focused more on quality rather than quantity. Our new News page will link to all the other Premiere Pro content not featured on Premiere in Post. A quick sidenote about our content curation policy: We HATE! churnalism and clickbait. We never share our curated links on our social channels in order to garner clicks. Our curated content is specifically meant for users who are already coming to Premiere Bro for content. We fully support the original content creators we curate from. (In fact, we've discovered a number of them and given them their first big exposure.) To expand our mission of promoting Premiere Pro tutorial makers, we will be maintaining a bank of bios for original content creators with links to their websites, social channels, and Patreon pages. Everything we curate will be accompanied with a bio, fully crediting and promoting the original creators. We hope other post-production sites will follow our example in better supporting original content creators. We are super grateful to all of our sponsors, past and present. We are excited to announce our first-ever partnership with a computer company: Puget Systems. Puget Systems is America's custom computer leader. Take a minute to watch this video about what sets us apart and makes us the best choice for your next computer system! Puget Systems is America's #1 custom computer builder. We became fans of Puget Systems a couple years when we discovered they have custom computer builds and resources specifically for Premiere Pro. We are ecstatic to partner with Puget Systems to bring our readers an exciting new blog series on computer hardware as it relates to editing in Premiere Pro. Whether you're a Mac or PC user, please join us on this new PC adventure starting later this summer! We created our newsletter because it's something we would want in our inbox. That said, the layout is a little meh. We realize that subscribers have to click links out of the letter to get any real value. We're going to change that. We're working on a new layout to include more content directly in the letter. To all our current subscribers - THANK YOU! 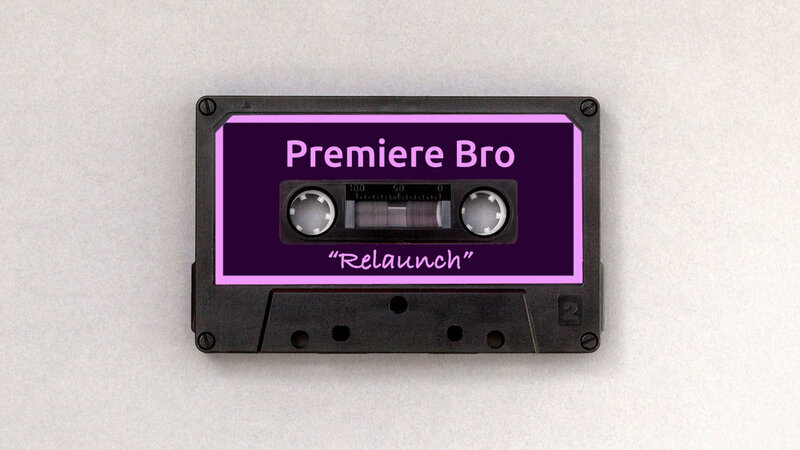 Please stay tune for a new Premiere Bro Newsletter experience. We confess, our social media presence has been lacking for some time. (That's because we've been working on this new site!) With this relaunch, we're putting the social back in social media. Look out for more Premiere Pro tips and more engagement with our followers on social media. We hope you are excited about our relaunch — they're the reason we're changing things up! Premiere Bro owes everything to readers like you. Keep rocking that Premiere Pro! What do you think of our new look? Let us know in the comments below. Please use the Submit page to report anything that appears broken.